The mission of the Boys & Girls Club of Central Iowa is to inspire and enable all young people, especially those who need us most, to reach their full potential as productive, caring, responsible citizens. At Boys & Girls Clubs of Central Iowa, we believe every child has the capacity to succeed and achieve greatness. The Central Library is located in the heart of downtown Des Moines at 1000 Grand Avenue in the Western Gateway Park near the Pappajohn Sculpture Garden. Offering unique architecture and a green roof, the Central Library has something for everyone. Our collection includes a wide variety of books, media, magazines, newspapers, microfilm, historic periodicals, city directories, sheet music and an extensive Iowa Collection. Free parking underground. The Central Library is a great place to get a book, use a computer or spend some time researching. The library's mission is to nurture the early learning experiences of young children and their families; support lifelong learning and enjoyment of all community members; and provide a comfortable and welcoming place for people to meet and grow. The Board of Education and the staff are committed to continuing the Dallas Center-Grimes tradition of providing students with outstanding academic programs as well as opportunities to learn and participate in many high quality and award winning activities including the performing arts, athletics, and cheerleading, as well as many clubs and organizations. The education of our children is one of the most important goals of our communities. The Dallas Center-Grimes School District is committed to providing our students with every opportunity that will help them be successful students and successful citizens. Our mission is "Empowering Students to Take Charge of Their Futures!" By working together we can ensure that our children have a bright future. For over 100 years, Des Moines Public Schools has been educating the students of Iowa’s capital city. Today, we are the largest provider of public education in Iowa, with more than 30,000 students and nearly 5,000 teachers and staff at work in more than 60 schools throughout the community. Des Moines is a vibrant, innovative and diverse city. 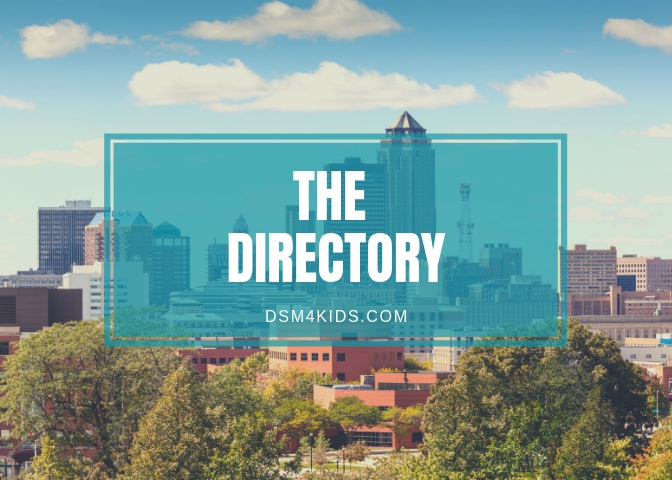 In fact, Parenting magazine ranked Des Moines #5 on the list of the best cities in the nation to raise a family, in large part due to great schools and learning opportunities. Those traits are reflected throughout our school district in the breadth of the programs we offer and the constituency we serve. Our students, parents, teachers and staff come from many different backgrounds, all of which contribute to the richness of a DMPS education. The wide range of opportunities in Des Moines meets the academic interests, abilities and goals of every student. We boast the largest variety of educational programs – many of them nationally renowned – in Iowa. That includes the state’s only International Baccalaureate curriculum and the only public Montessori school. According to the Belin-Blank Center for Gifted Education, our Central Academy’s “record of excellence with Advanced Placement is an honor for the entire state of Iowa,” producing more National AP Scholars in one recent year than 13 entire states! The Downtown School is regarded as a national model. Several schools feature continuous calendars throughout the year, and our Career & Tech Institute delivers training in everything from culinary arts to aviation technology, a scope that is rare in districts with comparable profiles. Over the last decade a comprehensive and ongoing capital improvements campaign has renovated and updated many of our schools, 53 of which have now earned the Energy Star designation. State of the art learning environments are outfitted with everything from the latest technology to air conditioning.